Pip is a a much loved little sea pup in our house. From Channel 5’s Milkshake!, Pip and his friend, a kitten named Alba, enjoy some wonderful adventures in their home town of Salty Cove in a beautifully animated show called Pip Ahoy!. Aimed at children aged 3-6, viewers follow Pip and his friends through the trials and tribulations of life, promoting kindness and friendship throughout each episode. Characters are voiced by some great celebrities including David Jason and Stacey Solomon, (though don’t try explaining to your five year old that Skipper’s voice is the same as Del Boy’s – it will be a conversation resulting in the confusion of a small person). We tried out one of the toys from the Pip Ahoy! range last week, the Pip Ahoy! Lighthouse Playset, which is available to buy from all good toy retailers including Amazon and Argos. 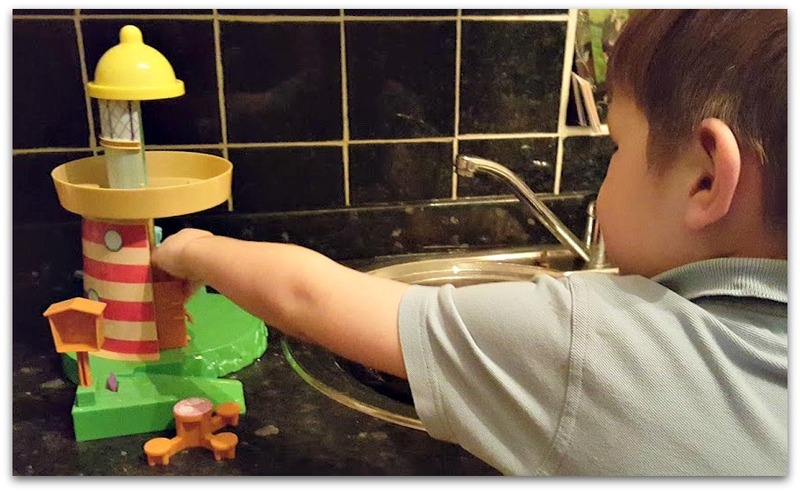 The best price I found for the lighthouse we reviewed was from Smyths Toy Superstore at £21.99. The lighthouse is the largest piece in the current Pip Ahoy! toy collection and a great one to buy for any little fan. Robot wasn’t happy playing on the carpet with his though because Pip lives by the sea, so naturally we had to play by the ‘sea’ too. Luckily he was willing to negotiate so we played by the kitchen sink! The lighthouse is a great toy for encouraging imaginative play, and we spent a lot of time re-enacting the stories from the Pip Ahoy! cartoon as well as making up our own little stories too, including some extra characters, such as our bath shark, making cameo appearances. The playset is sturdy and well made as you’d expect from John Adams, and has a little boat too, which can be launched from the side of the lighthouse. It doesn’t float independently all that well, but if you position Pip strategically enough you can get a little bit of buoyancy. The whole set is ergonomically designed for little hands, and the working lift is really easy for small children to operate independently. Robot and I played for a good three quarters of an hour with this, then he played with the set by himself for longer still. I would recommend buying this with the set of Pip Ahoy! characters which are available separately, so that little Pip does have someone to talk to and play with, though friends from your toy box would be welcome too I’m sure. 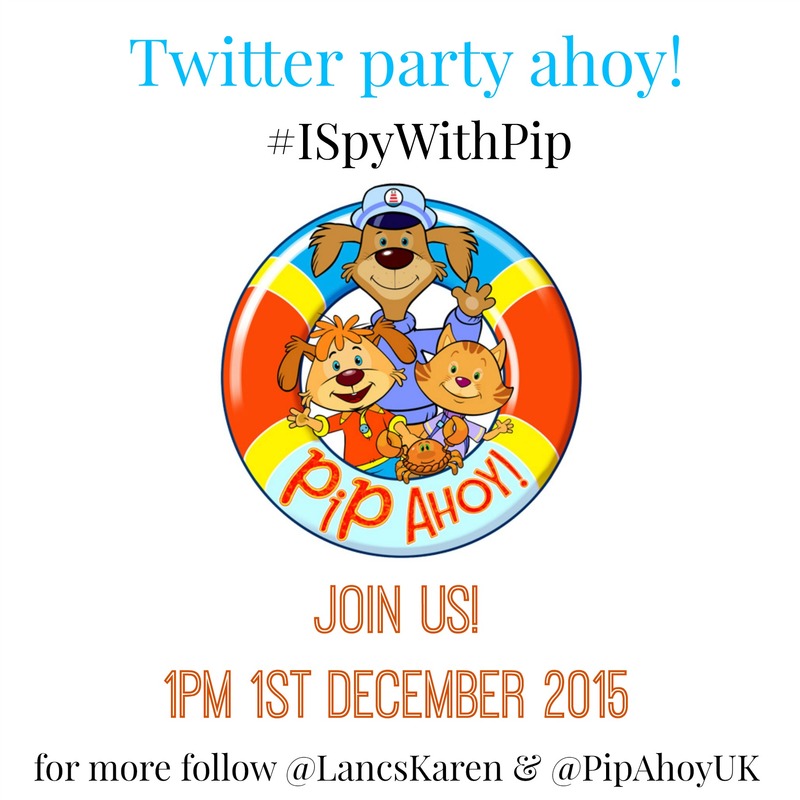 Would you like to WIN a Pip Ahoy! Lighthouse Playset? Of course you would – it’d make a great Christmas gift and will be delivered just in time for the big day – it’ll certainly save Santa one job! Simply complete the gleam widget here – good luck! There’s a Pip Ahoy! Twitter party coming soon! To my little nephew thank you! To my local hospital’s childrens ward. I’d give it to my gorgeous nephew! Would give it to my daughter she would love it! My Nephew he would love it! I would give it too my middle little boy! My nieces as they would love it! My son, he’s a big fan! My son – he loves Pip Ahoy! I would love to win this amazing giveaway for our little boy. He would love this.